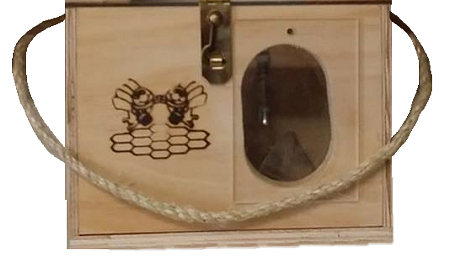 For transporting bees and housing bees for Bee Venom Therapy at home. Easy to feed and water the bees without any escaping. Easy to catch bees for stinging by putting the tweezers thru the clear plastic window either from the front or the back. 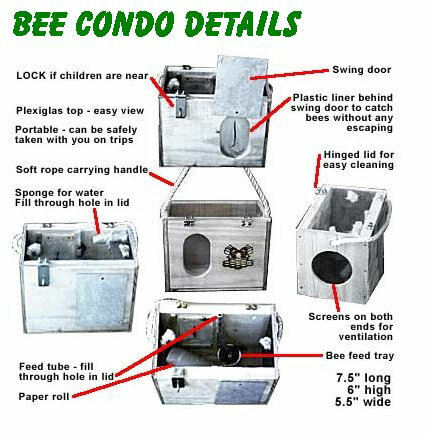 You can also transfer the bees from the mailer box they arrive in to the condo easily without losing any bees. Love the bee condo. This will be my second one I have purchased from you guys. I need two condos to keep my bees between shipments.